There are currently no males in the breeding program. 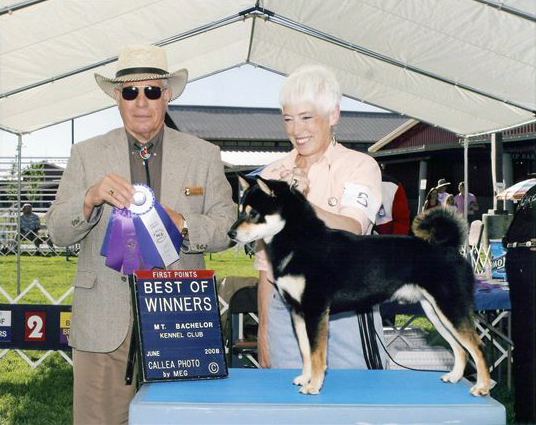 Int'l CH Torii Castle's Brockton Blockbuster, "Brock," is a very handsome black and tan! He has lots of energy and loves to play ball. He can play ball for hours, even if it is all by himself. Playing with his best friend Sammy is the best. He can jump very high from a stand. Cuddling and pleasing someone is what he tries his best to do, but sometimes it is hard to stand still. 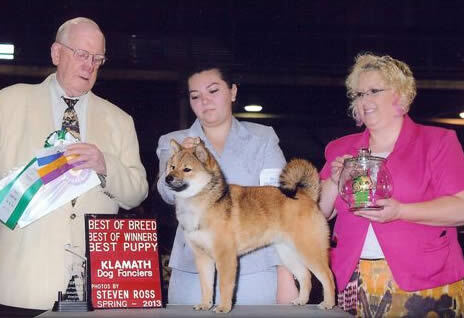 I have great hopes for him in the show ring. Brock has a lot to offer the breed. He is a very sweet boy. *Brock is no longer in the breeding program. He is now living with a very wonderful couple and with Dani. Castle's Rudy Valentino, "Rudy," is a rich red in color. Rudy is a very sweet boy. He loves to play with other dogs as well as people. Ball is a very favorite game. Just like his dad, Wilson. He gets his sweetness from his mom, Fredi. 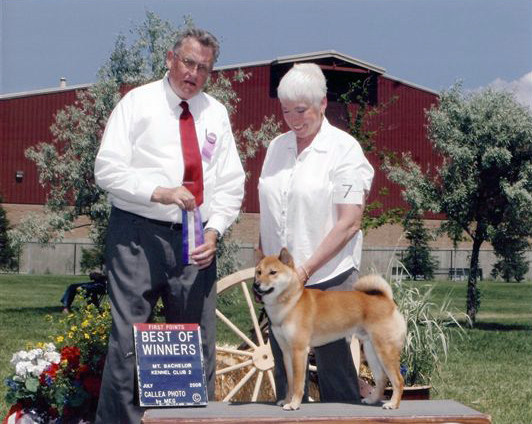 *Rudy is now retied from the breeding program. Dog, and a Response To Tragedy Dog. Castle's George Foreman, "Foreman," is a sesame like his mom "Tanzi". His dad is Brock. He grabbed my heart the moment he was born! He is a very sweet boy that loves me very much! I have great hopes for this young pup! He is being shown by a wonderful young lady name Erika David. They are doing very well together! Foreman loves to play with the other dogs. His best friend is a Finnish Spits named Blaze. Watch for him in the ring. *Foreman is no longer in the breeding program. CH. Sanshou's Son Of A Castaway, "Wilson," is a wonderful sesame male. He loves to play ball. Playing in the water is one of his favorite things to do and if you add a ball it is the best! He has what the judges are looking for. I love his dark, rich red sesame color! Was one of my foundation stud dogs. 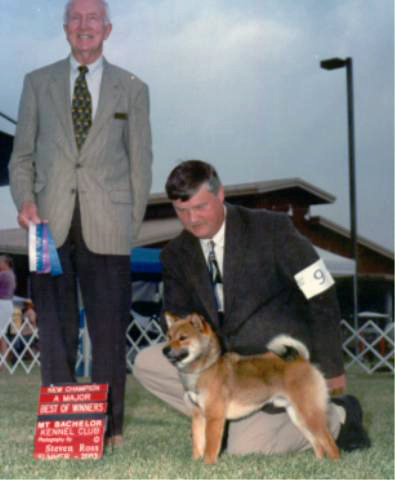 Int'l CH Steelcrest's Classic Nash, "Nash," is a beautiful red male. He is a heart breaker. As a puppy he grabbed my heart and has not let go! He moves like the wind. 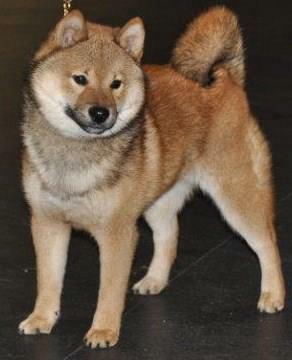 I wish all Shibas moved like he does. I love to watch him in the yard. He will always have my heart! 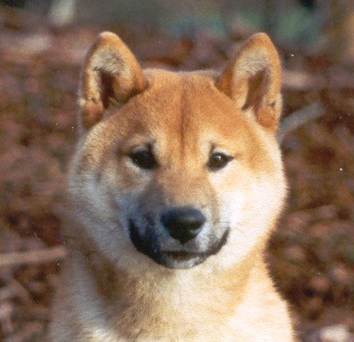 In my opinion he is what a male Shiba Inu should look like.